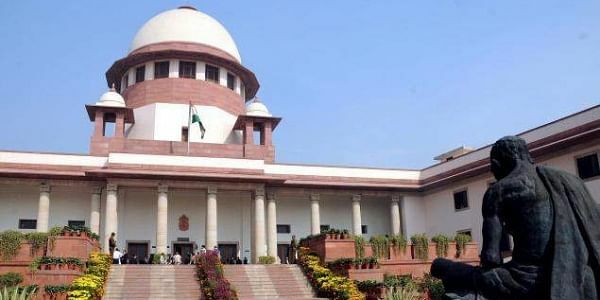 KOLKATA: The Supreme Court on Monday permitted the Centre to withdraw four of the eight companies of Central Armed Paramilitary Forces (CAPF) from strife-torn Darjeeling and Kalimpong districts of West Bengal for deployment in Assembly poll-bound Gujarat.A Bench of Chief Justice Dipak Misra and Justices A M Khanwilkar and D Y Chandrachud agreed to the Centre’s plea to relocate half of the remaining paramilitary forces after the law and order situation in the region improved following withdrawal of the 104-day-long Gorkhaland agitation. With the ruling, only four companies of central forces will be left to maintain peace in the hills. The SC had on October 27 overruled a Calcutta High Court stay on the withdrawal of the forces and allowed the Centre to pull back seven of the 15 companies of CAPF from Darjeeling and Kalimpong for redeployment along the borders of Jammu and Kashmir, the Northeastern states and to poll-bound Gujarat and Himachal Pradesh. The issue of withdrawal of central forces from Darjeeling has been particularly contentious between the Centre and West Bengal with Chief Minister Mamata Banerjee alleging that the Centre was ‘conspiring to divide West Bengal’ by reducing troops in Darjeeling. Mamata had filed a PIL with the HC stating that reduction of central forces in Darjeeling would jeopardise the peace process. The Supreme Court gave nod to relocate the forces since the law and order situation in the Hills has improved following the withdrawal of the 104-day long Gorkhaland agitation.